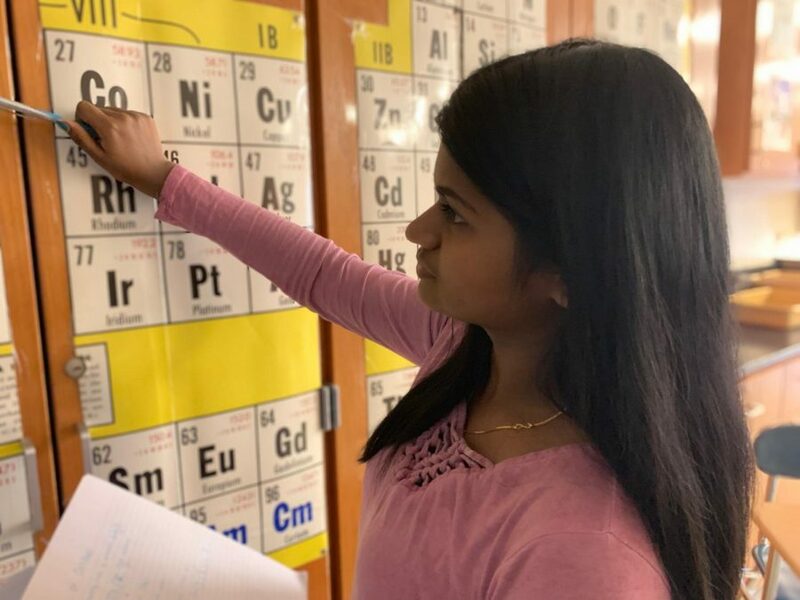 Nithila Kannan, sophomore and science team member, reviews the periodic table for the upcoming regional competition this Friday. The team has been studying concepts such as this since October in preparation for Friday's event. 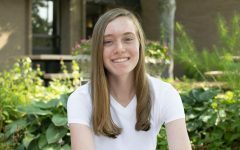 Some students use extracurriculars to catch a break from test taking, but science team is hoping to dominate their sport by putting pen to paper and letting their knowledge spill out. Science team will compete in the Academic Challenge competition at College of Lake County this Friday, Februrary 8th, and event comparable to regionals in other varsity sports. They hope to advance to sectionals and even state, both as a team and individually. Each competitor will take two 40-80 question tests on a chosen science subject, with the scores then being ranked against other schools in the area. John Chen, junior and state qualifier last year, is confident the team will see success this year. One of these coaches, Robert Moore, chemistry teacher, believes the competition will benefit the students in the long run, no matter how the team performs on Friday. Besides the benefits of the actual competitions, just being a part of the team opens up a whole new world of possibilities in science, according to Chen. Despite it’s connections to future jobs and it’s competitive nature, Chen admits that competitions such as these are not always taken seriously by other students in the school. No matter what Friday’s events will bring, Chen says he is ready for the team to showcase their talents and leave it all at the competition.